In December last year the Consumer Law Reform Bill passed into law. The legislation incorporates the most significant developments into New Zealand consumer law in more than 20 years. This article looks at how businesses will need to comply with the changes. The new laws will strengthen consumers rights, simplify business compliance and ensure consumer protections are clear and accessible. The changes are also designed to achieve alignment with Australian consumer law by amending several consumer related acts, the Fair Trading Act 1986 (FTA) and the Consumer Guarantees Act 1993 (CGA). Other changes reflect advances in modern business practices and technology, such as internet and credit card transactions, online auctions, increased selling of extended warranties and sales campaigns conducted via social media, telephone and text. Most of the changes dont come into effect until 18 June 2014 so your business will have time to change contracts and trading practices in order to comply with the legislative changes. The key changes which you will need to consider are summarised under three key dates. Enforcement: The Commerce Commission has attained new powers under the FTA to conduct interviews and have a court enforce undertakings given to it. The District Court can seek management bans for people who have repeatedly breached the FTA. New liability for collateral credit agreements: Consumers who reject faulty goods which have been purchased by way of a credit facility arranged by a seller can apply to the Disputes Tribunal to hold the seller liable. Consumer product safety requirement: The Ministry of Business, Innovation and Employment (MBIE) can enter businesses to carry out inspections of goods believed to be unsafe. Businesses are now also required to notify the MBIE within two days of voluntary product recalls. The Minister of Consumer Affairs can make safety statements regarding goods if its reasonably foreseeable that the misuse of the goods might cause injury. Vendor bids: Vendor bids in auctions must be clearly identified as a vendor bid. These must be made before the reserve price for the auction is met. Contracting out of the FTA: In certain circumstances, parties in trade can contract out of the terms and obligations of the FTA. The requirements are that the agreement is in writing, the goods or services are both supplied and acquired in trade (business-to-business transactions) and its fair and reasonable that the parties are bound by the provision to contract out of the agreement. Unsubstantiated representations: You must substantiate with evidence all claims, which a reasonable person would expect to be substantiated. A representation is unsubstantiated if the person making the representation does not, when the representation is made, have reasonable grounds for believing the representation. The proposed new provisions on unsubstantiated representations are intended to target traders who make representations without reasonable grounds. An example of unsubstantiated representations is where a shop advertises New Year Sale 50% off. This claim represents a special buying opportunity to purchase goods at a 50% discount for the New Year trading period. To avoid this claim being an unsubstantiated representation, it would be expected that businesses have sufficient pricing and sales data to establish that during the sale period, the relevant goods are for sale at a price that is 50% less than the usual price. This information must show the goods were offered for sale at the usual price for a reasonable time before the sale period began. Extended warranties: The legislation addresses pressure applied by suppliers in trade when selling extended warranties to consumers. A consumer who has just made a purchase may be easily convinced to take out an extended warranty. The consumer may do so without properly thinking about their existing rights under the CGA, and also whether an extended warranty purchase is appropriate. There are new disclosure requirements for warranties in excess of the CGA and a five day cooling off period. Unsolicited goods and services: Businesses cannot demand payment for goods a consumer has not asked for. Uninvited direct sales (formerly door to door sales): The intention of the uninvited direct sales provisions is to protect consumers from personal, uninvited sales pressure. A five day cooling off period for uninvited direct door to door and telephone sales has been introduced.  Delivery relating to guarantee: A customer can reject goods and/or obtain compensation from a seller responsible for delivering those goods if the goods arrive substantially late. Extension of CGA: This now covers all transactions (including online businesses, auction sites like Trade Me, tenders and mobile applications) where the seller is a professional trader. Professional traders will be required to identify themselves if they are selling goods or services covered by the CGA. Layby sales: Businesses will have to give consumers written information about the terms of their laybys, including cancellation rights. From 18 March 2015 there will be some changes to unfair contract terms in standard form consumer contracts. This is a significant change as the legislation introduces a new prohibition relating to unfair contract terms in standard form consumer contracts. Generally, the unfair contract term regime will apply to standard form contracts where the terms are not negotiated by the parties and are often presented to the consumer as a final form standard contract. A term may be unfair if it causes a significant imbalance in the parties rights and obligations (usually the consumer). Common commercial clauses which might be considered to be unfair include clauses that allow one party to unilaterally terminate, vary or renew the contract, penalise one party for breach, but not the other, allow one party to avoid or limit performance, but not the other, allow one party to effectively reserve the right to determine the interpretation of the contract, or to sue upon it, and have the effect of limiting a partys liability for its agents. Other types of terms cannot be declared to be unfair if they define the main subject matter of the contract or set the upfront price. Consider if you have robust processes and guidelines to ensure that you retain supporting evidence that all representations that you make in trade are substantiated. The consumer law reform amendments have introduced a number of additional disclosure and inspection requirements for businesses. A careful review of your existing practices now will ensure theres plenty of time to plan and ensure your business is compliant during the transitional periods before the more significant amendments take effect. When taking disciplinary action against any of your employees, you must follow the correct process or risk paying out large sums of money to aggrieved employees. The recent case of Stocker v Car Giant Limited serves as a reminder of this. Mr Stocker was an information technology manager at Car Giant, a car dealership in Petone. Car Giant called Mr Stocker to a meeting and told him he was dismissed, effective immediately. He was told he would receive no further payments from the company. The Employment Relations Authority found that Mr Stocker had been unjustifiably dismissed without notice, and ordered Car Giant to pay him three months wages, together with $5,000 in compensation and legal costs. Settlement totalled more than $25,000. This case shows that knowing and following correct procedure when disciplining or dismissing your employees is crucial. Employment legislation doesnt prescribe a specific dismissal/disciplinary process. Case law, however, dictates that the process followed and decisions made must be fair and reasonable for all. knowing and following correct procedure when disciplining or dismissing your employees is crucial. Before you start on any disciplinary process, you must investigate the issues that have arisen. From that investigation you then decide whether those issues warrant going through a disciplinary process. If the process is justified, you must inform your employee in writing of the nature of the allegations against them, that you will be starting a disciplinary process and the potential outcomes of that process. You should call your employee to a meeting (you need to give at least two days notice) and let them know they have a right to have a support person or their lawyer at the meeting. You should include all of this in your letter to your employee. At the meeting, tell them of your concerns and give them a chance to respond. Listen and consider any explanation they give; you have a duty to deal with your employee in good faith and to be open and fair in all dealings with them. After the meeting, youll need to decide whether any misconduct has occurred and advise your employee of this in writing. You should then consider what disciplinary action, if any, should follow. You must consult your employee before a decision is made. A further meeting may need to be held with your employee at which you give your decision. If a first warning is given, this should be recorded in writing and given to your employee. This warning will last for the period specifided in the notice, which must be reasonable in the circumstances. If a second warning is given within the period of the first one, and your employee comes up for disciplinary action a third time, then you may be able to dismiss them. If the employees conduct was grave enough, it could support a final written warning being given at the first offending. You should check with us first, however, as a safeguard against a potential claim, if you believe that to be the case. Employment matters invariably require flexibility and proper advice. In cases of serious misconduct, instant dismissal may be justified following the disciplinary investigation. What constitutes serious misconduct varies on a case-by-case basis; it would be wise to contact us as soon as you find yourself in this situation. Throughout the disciplinary process, you must provide your employee with all information available. You should also keep an open mind and avoid any appearance of predetermination. Warning letters or letters of dismissal should be written after the process is complete and not during the disciplinary process itself. Another issue raised in the Car Giant case was the important difference between a contractor and an employee. Car Giant dismissed Mr Stocker without notice (or pay in lieu of notice in the case of redundancy) as provided for in the companys standard individual employment agreement, as the company mistakenly considered him a contractor. Mr Stocker was actually an employee. Knowing the difference between a contractor and an employee is crucial. Employees are entitled to benefits and have certain rights that contractors dont. Only an employee can raise a personal grievance. An employee is any person employed under a contract for service, for payment. The real nature of the relationship and all relevant matters should be considered when determining a workers status. All relevant matters include the parties contract, intentions, operation of the relationship in practice, application of the common law tests and industry practice. Employment matters invariably require flexibility and proper advice. If you decide to start a disciplinary process, its well worth contacting us so we can advise you on each step. Have you driven down the road and had your windscreen splattered with effluent as farmers irrigate their paddocks with nutrient-dense animal waste? Has your washing been hanging on the line all day and now has a pungent odour? Many farmers use a travelling irrigator or muck spreader on the farm, so what are your obligations to protect the general public from the effect of your permitted farming activity? While most farmers are now aware of the nitrogen loading on their farms and their obligation not to discharge into waterways, thats not where responsibility stops and there can sometimes be nonchalance towards air contamination. There are many differing rules depending on which territorial authority your land is subject to. However, all the rules come under the same basic principles where theres a duty for you to manage air discharges in a way that protects those outside of your land boundaries from adverse effects. These adverse effects can range from terrible smells to actual particle contamination. While some regional and district plans specify a separation distance between land being treated with farm animal effluent and the neighbouring properties, not all do. As someone discharging any effluent you must be certain that as far as is reasonably practicable you keep your discharge away from boundaries where neighbouring properties, public roads or other off-farm areas could be affected. There shall be no discharge of contaminants beyond the boundary of the subject property that has adverse effects on human health, or the health of flora and fauna. The discharge shall not result in odour that is objectionable to the extent that it causes an adverse effect at or beyond the boundary of the subject property. There shall be no discharge of particulate matter that is objectionable to the extent that it causes an adverse effect at or beyond the boundary of the subject property. The discharge shall not significantly impair visibility beyond the boundary of the subject property. You probably know that spreading animal effluent on your land is a permitted activity, but are you aware that even a permitted activity has rules that must be adhered to? Its absolutely essential that you know your regional and district plan regulations, and that everyone on your staff understands their obligations. You will need stringent on-farm policies and procedures that are clearly written and have been explained to all people on your farm team. Youll also need to keep a watchful eye on the weather, look after your farm plant and machinery and monitor where your effluent discharge spreads to help ensure that your business remains compliant. If you have any queries regarding your farms compliance, or about drafting of effective farm policies and procedures, please dont hesitate to contact us. When relationships break down, numerous issues arise around the division of property. One spouse or partner may be left significantly worse off than the other, assets are often protected by trust structures and it can be unclear what property makes up the pool to be divided. Two recent cases provide insight into how the courts are approaching relationship property matters. Mr C qualified as a specialist surgeon, and his career took the family all over the world, ultimately returning to Wellington to live. Mrs C didnt work and took primary responsibility for the family and home. When they separated the pool of relationship property was worth approximately $1.8 million. Mr C continued earning around $1 million a year from his private surgery practice, while Mrs C had taken a job at a beauty salon earning $30,000 a year. The court was satisfied that due to the division of functions within the marriage Mrs C was left with a significantly lower income and living standards than Mr C whose career and earning prospects had prospered under the family arrangement, while Mrs Cs had deteriorated. The court awarded approximately $360,000 more to Mrs C, which resulted in a 70/30 division of property the most significant departure from the equal sharing presumption yet. This case has been appealed to the High Court by Mr C.
If you have a trust in place you probably think this will give you sufficient protection for your assets if you have a relationship breakdown. A recent case in the High Court8 illustrates the importance of ensuring a proper trust structure. Mr Clayton was a successful businessman, whose business assets were held in trust. Mr Clayton was the settlor, sole trustee and discretionary beneficiary. He had the power to appoint and remove trustees and beneficiaries, and he could act without considering the interests of the other beneficiaries, and for his self-benefit. The High Court found that because Mr Clayton had unfettered discretion to deal with the trust property, the trust deed showed no intention of creating a trust at all. It was an illusory trust, under which Mr Clayton retained all of the powers of ownership over the property. On the breakdown of his marriage, his wife was therefore entitled to half of the trust assets as part of the division of relationship property. Mr Clayton has appealed this decision. Mr Claytons predicament serves as an important reminder to ensure your trust deed is well considered and drafted. If you retain too much control over the trust assets you risk ending up with a trust that is deemed to be illusory and of no protection at all. The best protection is to have an independent trustee and to sign a contracting out agreement protecting your interests in trusts. Some readers may have received emails purporting to be from the IRD. These fake IRD emails are becoming more sophisticated as the website appears genuine. Look after your personal details in the same way you would care for your wallet and other possessions. Your personal details are very valuable to scammers. They can use credit cards, claim benefits, take out loans and run up debts all in your name. Never enter your personal details into a website unless youre sure its genuine. Check website addresses carefully. If theyre similar to a genuine companys URL, but not quite right, be careful. NEVER visit your banks website by clicking on a link type in the entire website address yourself. Dont reply to, click on any links or open any files in spam emails. Dont call any numbers in spam emails. Regularly check your bank account statements and credit card bill to make sure no one is accessing your accounts. Order a credit report every year to make sure no one is using your name to borrow money or run up debts. Call your bank immediately so your account can be suspended. Ask to speak to bank staff who specialise in security or fraud. Workplace bullying is a significant hazard in New Zealand. Not only does it affect people physically and mentally, but it can also disrupt workplaces and reduce productivity. Employers who dont deal with it appropriately risk breaching legislation such as the Health and Safety in Employment Act 1992, the Employment Relations Act 2000 and the Human Rights Act 1993. A workplace assessment tool that measures organisational culture with a view to prevent bullying. Advice for employees ranges from how to assess if youre being bullied to recording instances of bullying behaviour to providing a range of low-key solutions. Advice for employers includes information on how to respond best to reports or allegations of bullying, and how to promote a healthy and respectful work environment. NZLAW Limited is an association of independent legal practices with member rms located throughout NewZealand. 7 Carpenter v Carpenter  NZFC 8396.